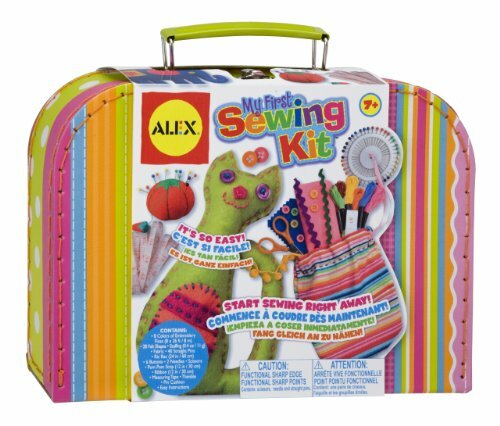 The Alex Toys My First Sewing Kit will introduce children to the creative world of sewing. It’s a skill that lasts a lifetime and can be used to make adorable stuffed animals,notebook covers and more. 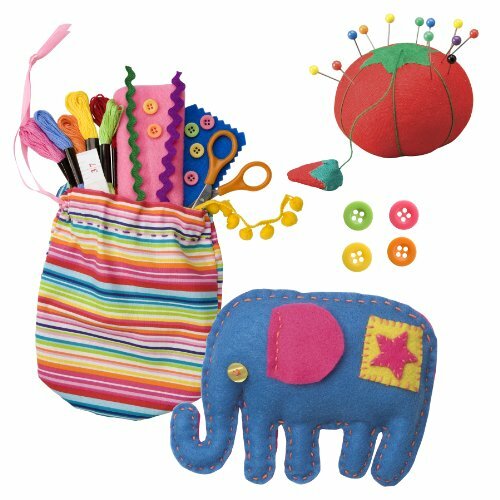 All the materials you need come in the charming carrycase that closes securely and has a handle for sewing on-the-go. 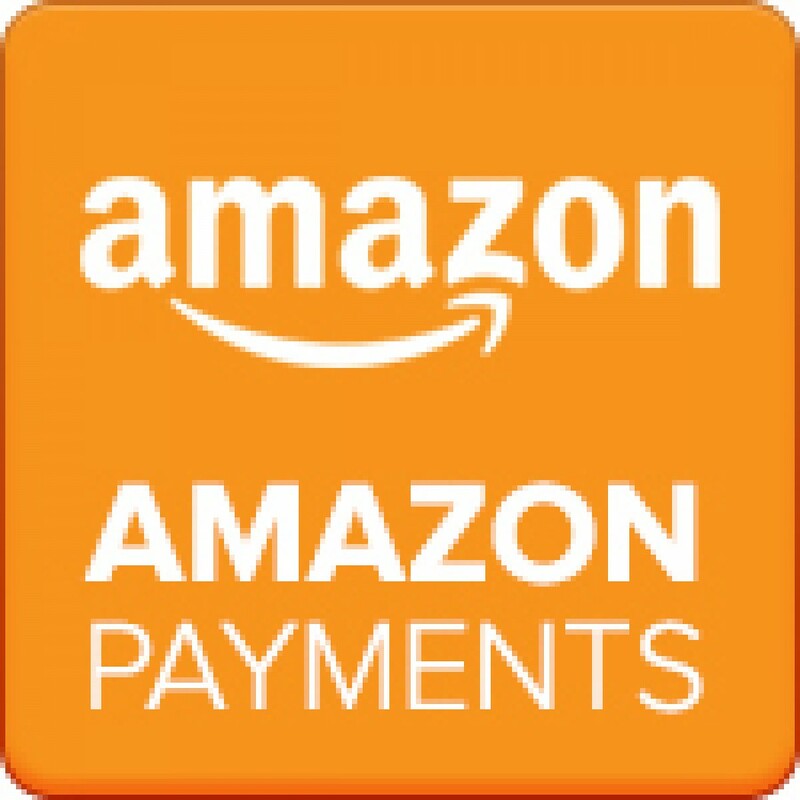 Includes 28 pre-cut polyester felt shapes, 8 colors of embroidery floss (26ft/8m each), polyester stuffing(0.4oz/11g), fabric cloth (65% polyester/35% cotton), polyester ric rac(24in/60cm), scissors, measuring tape, 40 straight pins, 2 needles, thimble, cotton/polyesterpin cushion, polyester ribbon (12in/30cm), 6 buttons, pom pom strip (12in/30cm)and easy instructions. Recommended for children 7 to 12 years of age. 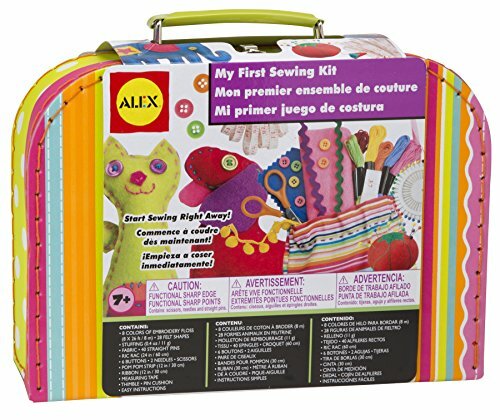 10" x 7" x 3.25"
Be the first to review “ALEX Toys Craft My First Sewing Kit” Click here to cancel reply.